Also if someone where to make a suggestion including custom made models how would you respond? 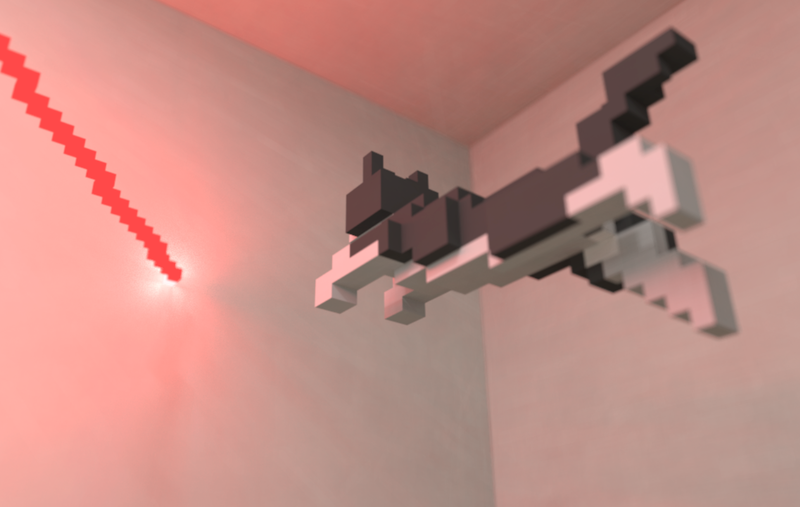 Yes, I use Qubicle as well as MagicaVoxel. Less beginner friendly. All buttons are a single letter. More powerful tools for sculpting, once you learn how they work. Great for very organic looking things. You can stamp out saved models in a scene. A super sweet rendering engine for awesome screenshots. Plane feature is awesome. Isolate a single layer to change the insides of models or start in 2d. Better support for selection/copy/paste/moving things around. Crucial support for splitting models up into sub-objects. 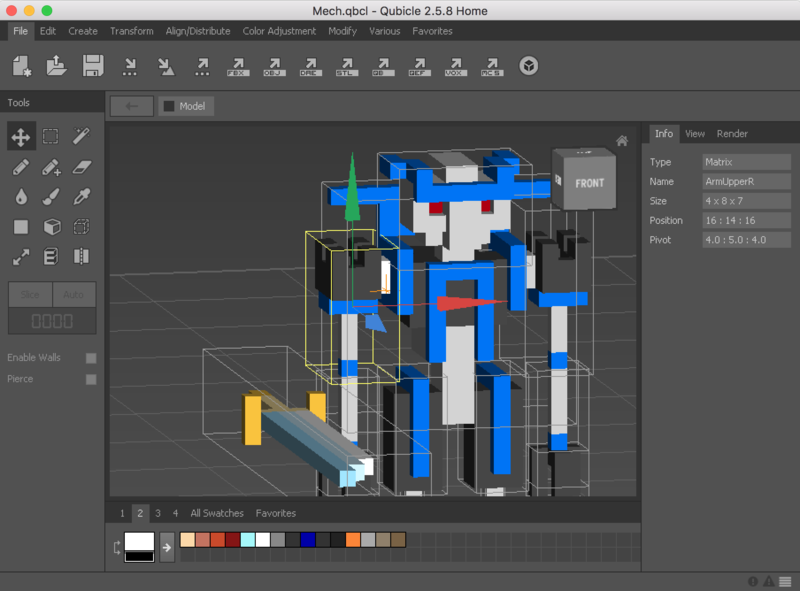 For the game I've mostly used Qubicle, since I need to break up and animate all the parts independently. One thing I've learned for this game is that the models need to have relatively thin limbs in order to support severing them easily. hehe, there will be other things that are harder to kill. WAIT WHAT?? That thing creates robots?? That's freaking awesome! It's looks cool and all but if this was added to the game, could I shoot an arrow at it's green button and it will die? WHY? CREATOR! WHY? WHY DID YOU NOT IMPLEMENT THIS!!?? Hello, what engine do you use? Is there any certain extension you use in Unity for importing the voxel models and using them in your games? I've seen ones like PicaVoxel and it looks pretty cool, but yours just seems soo much better, was just wondering. Thx! Thanks! Was just wondering cause it seemed like a really advanced form of whatever you were using. Thx! I highly doubt anyone gets the Rosen reference, but I did.